It's been ten hard years since five women were executed in a south suburban store. TINLEY PARK, Ill. (WLS) -- Ten years after the mass murder at Lane Bryant in Tinley Park, detectives are still looking for a break in the case. On Feb. 2, 2008, five women were shot to death in the back of a Lane Bryant store: Carrie Chiuso of Frankfort, Rhoda McFarland of Joliet, Connie R. Woolfolk of Flossmoor, Sarah T. Szafranski of Oak Forest, and Jennifer L. Bishop of South Bend, Ind. A man claiming he was a delivery man took the two employees and four customers to the backroom where he tied them up and shot them execution style. Store manager Rhoda McFarland called police from her cell phone. The killer is also heard on the call. This evidence could help investigators solve the crime. 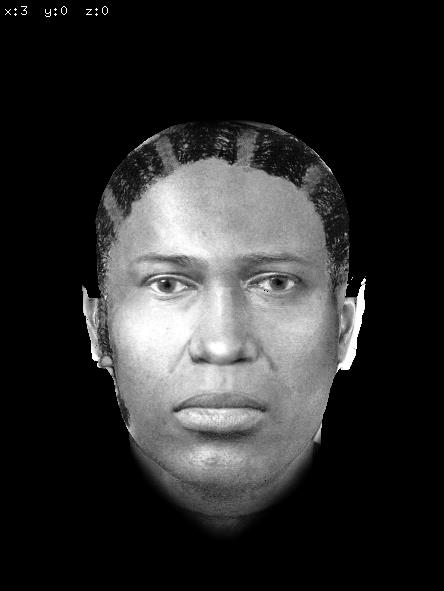 One woman survived and helped authorities create this sketch of the suspect. The weapon used was a .40 caliber semi-automatic. He is approximately six feet tall. Throughout the past decade, more than 7,300 tips and leads have been investigated. Police say there is no certain motive, even though some money was taken from the store and one victim was fondled. The Village of Tinley Park has spent $2.6 million on the investigation. Detectives traveled to Philadelphia to present the case in front of the Vidocq Society. The exclusive group is made up of current and retired law enforcement agents, forensic experts and psychologists. William Fleisher is one of the founding members of this elite criminal justice group that claims to have helped solve about forty percent of the cases that are investigated. The Vidocq Society analyzed the Lane Bryant murder case and offered suggestions. Investigators say it is likely that among the thousands of tips is information that could lead to solving the crime but they need the public's help to put it in context. There is a $100,000 reward for information leading to the arrest of the killer.